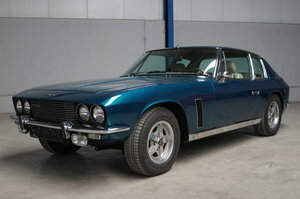 In 1966 the introduction of the Jensen Interceptor took place. The steel bodywork was designed by the Italian design house Vignale. 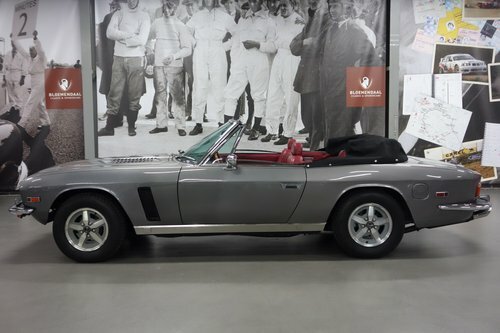 The Jensen Interceptor was fitted with power brakes and disks all round and a “Power-Lock” differential. The engines came from Chrysler Motor corporation. These powerful and very robust V8 engines were used in Facel Vega automobiles too. 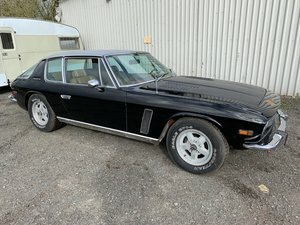 The Jensen Interceptor Mk I was fitted with a 6276 cc. V8. 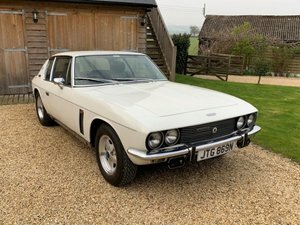 The Interceptor Mk II became available to the market in the year 1970. 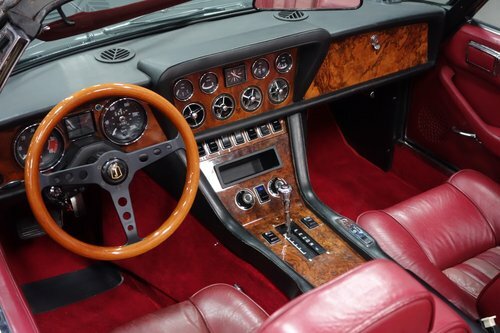 The Mk II was improved on several details: The dashboard was updated as was the interior, the front of the car was slightly restyled and vented disc brakes and alloy rims were introduced as standard equipment. The Interceptor Mk III followed in the year 1972. The Mk III was fitted with the largest and most powerful Chrysler V8 engine available; the 7.2 liter. This engine delivered a stunning 370 SAE bhp. The Interceptor Mk III SP model became a 390 SAE bhp. variant of this 7.2 liter V8 unit fitted with three double Weber carburettors. 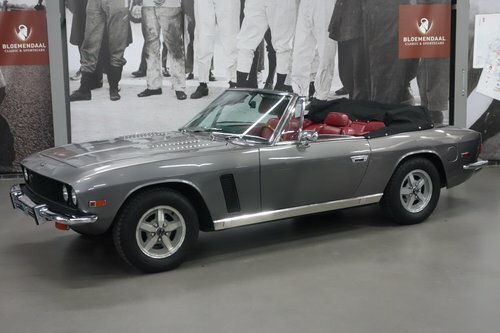 The Jensen Interceptor is a true drivers car, a comfortable yet sporty GT. 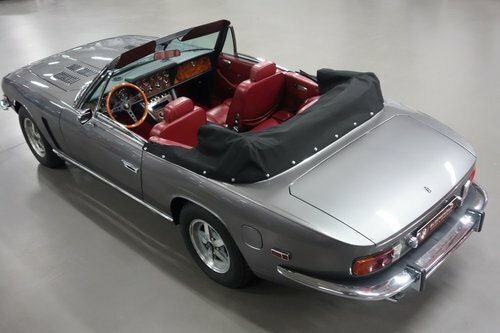 In total 6667 Jensen Interceptors have been built between 1966 an 1976 including the SP, FF an Coupe models. Only 267 of them were Mk III Convertibles as presented here. 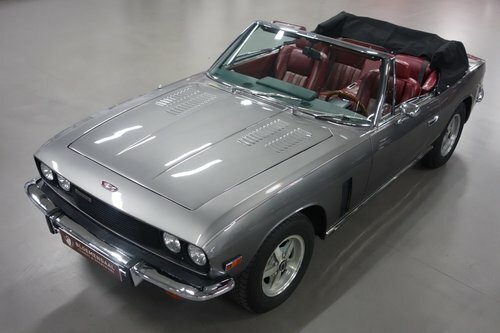 This exclusive Jensen Interceptor III Convertible was delivered to the first American owner on July 1 th. 1976 and came in 1992 in the collection of a German enthusiast from Sinsheim. A Dutch collector bought it in 2017 and ordered to make it to perfection, including fitting of a completely new air conditioning. The beautifully styled cabrio exudes exclusivity and power. 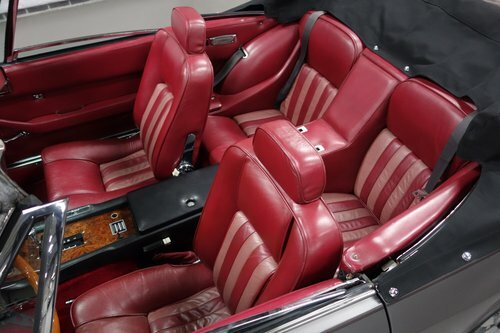 The chic color of the bodywork and the fine red leather interior makes it a very desirable car. Also the very low production number of only 267 pieces makes it a true collector’s car. The Interceptor drives great and the big 7.2 liter V8 roars on if you want, but is also a very friendly and very smooth engine if you want to drive around slowly. The 3 speed automatic gearbox assists hereby flawlessly. The best of three worlds? Yes, that is how we can describe the Jensen. A beautiful Italian design by Carrosseria Vignale, English craftsmanship and American power.